I will continue to purchase this product, it really helps keep my 3 birdbaths clean. I change the water every other day, so I do use alot of the cleaner. I have noticed that I need to use 2 capfuls instead of just 1. Thinking the formula my have been changed alittle. But it still works! I have 3 birdbaths around my yard, and I use birdbath protector everytime I refill them. It really works! I will continue to purchase this product, I wish it would go on sale sometimes because I buy 4 or more each time. Hard to keep the bird baths clean in the summer. This product looked like it would help without harming the birds so I will try it for the first time. This really works well. 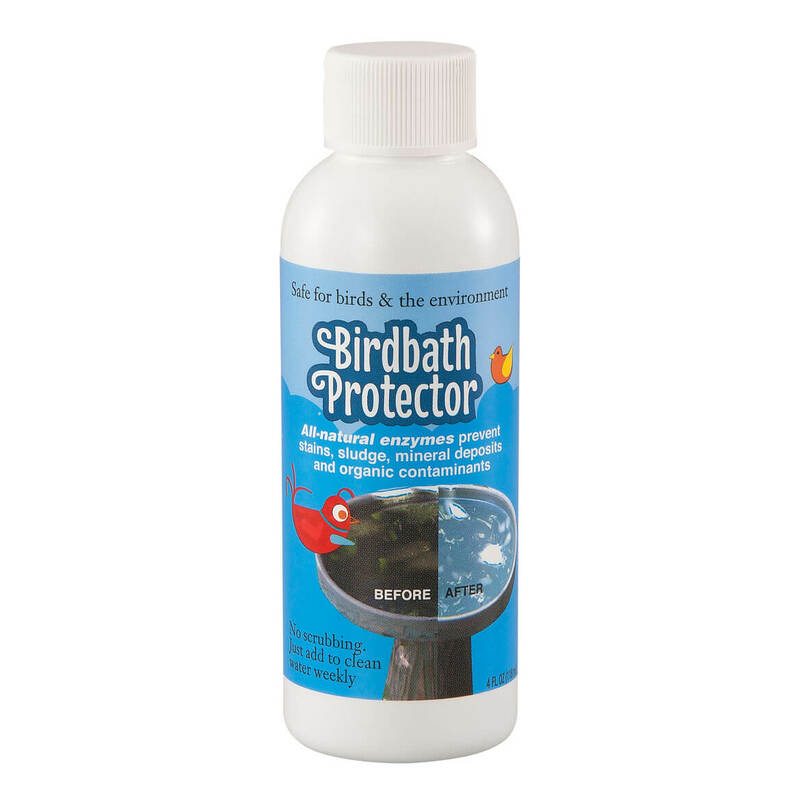 I have tried other items to keep slim from coming into my bird baths and I always come back to this product. I hope it stays around forever. Have used before. Works well. I have a large cement birdbath out back in a wooded area I am having a hard time keeping clean. I hope this will help to keep clean. I use this birdbath protector, and it really works! I have 3 birdbaths and I don't need to clean them with this product! I will come back for more! I have been using this product for years. It really works, I don't need to clean my birdbaths all summer! I just purchased a bird bath and this looked like it would help keep it clean and sanitary! so I wanted to see how well it would work in my yard. I live in south Florida and wanted something to help keep my birdbath clean.